The first Lebanese public television network, owned by the Lebanese government. The first private television station in Lebanon. Lebanese television channel based in Naccache, Matn_District. Founded by Michel Gabriel El Murr. Formerly known as New TV, is a 24-hour pan-Arab station broadcasting from Lebanon offering general programs in Arabic. Pan-Arabist news satellite television channel launched on June 2012. Based in Beirut. Alternative to Gulf Arab news channels such as Al Jazeera (Qatar) or Al Arabiya (Saudi Arabia). Television channel founded in 1993 by Rafik Hariri, the former Prime Minister of Lebanon. The official television of the Lebanese Amal Movement (Shia Muslim). Christian television channel from Lebanon founded in 1991 by the Catholic-Maronite Church. Télé Lumière in Lebanon and, since 2003, under the name Noursat by satellite. Which mistake? +- 1 MHz? It doesn't matter. The Future USA channel frequency we detect is 11957.149 MHz. Anyway we change it from 11958 to 11957, more exactly. 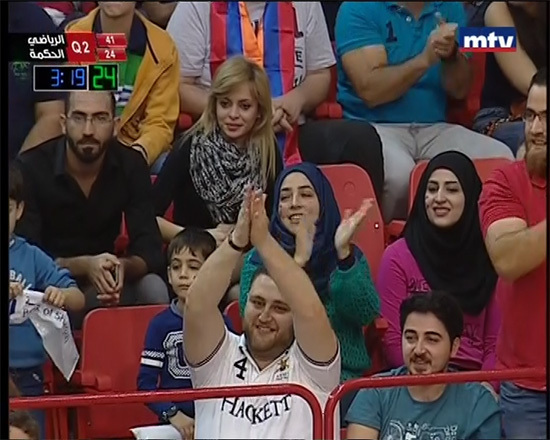 MTV Lebanon is transmitting FTA on the same frequency on Nilesat. I don't see any change. You may refer to American MTV, not to Lebanese MTV (Murr TV). American MTV Arabia is no longer on Nilesat since January 2015. I cannot get the MTV in Amman Jordan since one week , I tried the frequency written , but it is not working . i'm in northen Iraq (erbil kurdistan ). i'm not able to find mtv on nilesat, on freq 12360, v / 27500 need ur feedback pls. am from Nigeria Nasarawa state formerly we watch MTV Lebanon on Nile sat with 1.8 m dish. within 2015 only on 2.4m dish now we can't we see it. pls help send me the new frequency and location details. thanks. • Nominal value is 11315 MHz (according to Eutelsat, the owner of the satellite Eutelsat 7 West A). But 11316 V is the same as 11315 V. The real value is not a rounded integer value, but the receiver normally can tune it if the initial value is ±5 MHz. • Indeed, Al Thabat TV is off (black screen and no sound). • Al Sahira is on satellite Eutelsat 8 West B, MENA beam. ··· Frequency and polarity: 11137 MHz Horizontal ··· Symbol Rate and FEC: 27500 KS/s 5/6 ··· Modulation: DVB-S QPSK There are three satellites at Nilesat position (~7º West): — Nilesat 201 at 7.0º West — Eutelsat 7 West A at 7.3º West — Eutelsat 8 West B at 8.0º West The accurate alignment to each satellite is slightly different. Whats the frequency of one tv ? ONE MusicTV on E7WA 11353 V 27500 and Mystro TV on E7WA 12398 V 27500 now broadcast the same low quality program identified as AM. Please tell me where to put the FEC 5/6 o 3/4? I could put for example for MTV frec 12360 v 27500 but FEC 3/4 where to write it? Your receiver must find it automatically. Al Manar channel nilesate frequency? On Badr 5 and Badr 6 as indicated in the above list. FTA, but these satellites (Nilesat, Arabsat Badr...) are not available in America.